Have a Rainbow Loom fan? Check out Rubber Band Craft Books! I have heard so much about rubber band looms being one of the hottest toys of 2013. 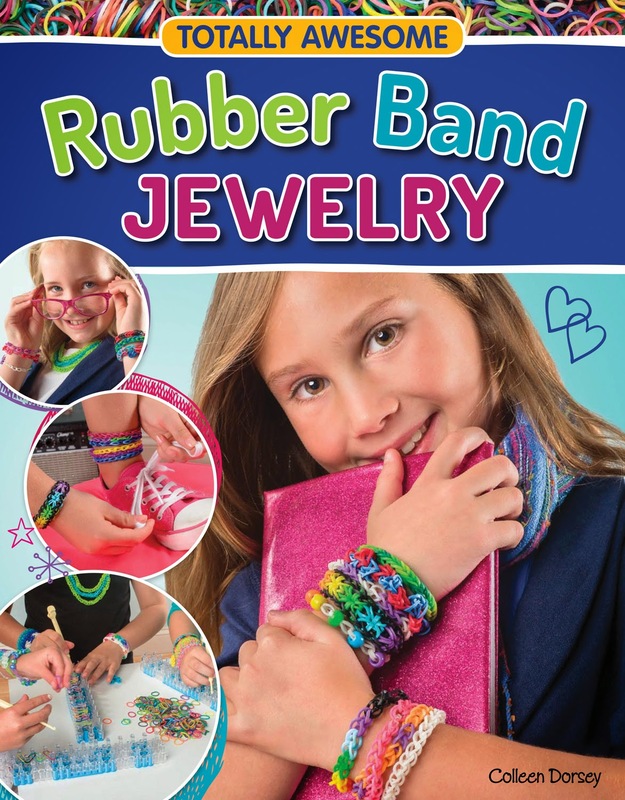 Every craft kid wants a Rainbow Loom or the like, they selling like hotcakes and now with these two fantastic Rubber Band Jewlery books you'll have your little jewlery maker crafting necklaces, earrings, bracelets and more in no time! 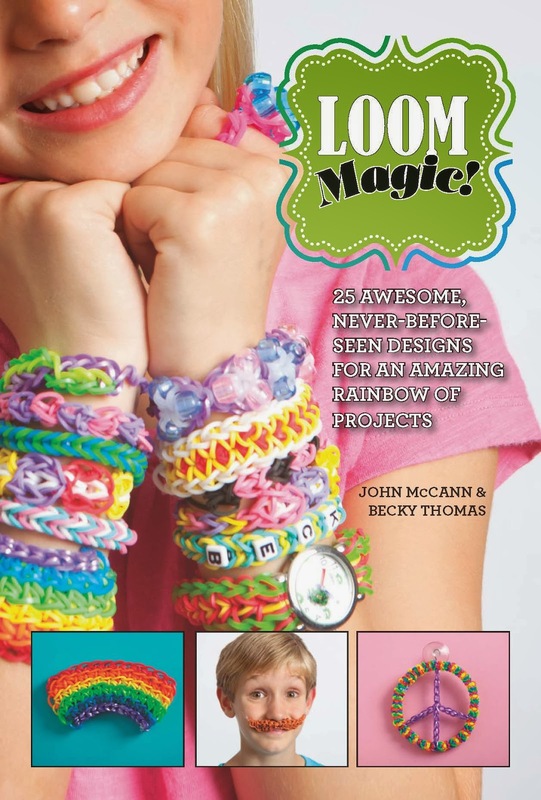 Have even more fun with Loom Magic by John McCann, a book with over 30 never before seen for an amazing rainbow of rubber band loom projects. You can learn how to make bracelets, sports themed charms, keyrings, pendants and even a working slingshot! Fans of Rainbow Loom etc new and old will love creating a wide variety of projects with the collection of ideas in this book. Hardcover $15.95! You can find both these books just in time for your holiday shopping online at amazon.ca and chapters.ca! Do you have a rubber band loom fanatic on your holiday shopping list? Our friends at Thomas Allen & Son want to give one lucky reader the chance to win BOTH books here on AME! Open to Canadian residents 18+ excluding Quebec. Mandatory entry must be done for extras to count. Valid email must be used for contact purposes should you win. Ends December 1st! Posted on behalf of Thomas Allen & Son. Complimentary books received for review purposes. Prize provided by Thomas Allen & Son. Opinions and comments on this blog are those of the author. My DD7 (and all of her friends at school) love the Rainbow Loom! They have craft classes on Friday at lunch recess and they make rubber band bracelets! I'm sure all of them would love to have a look at these books! My niece likes to make these bracelets, so I think she'd be interested in these books for sure. My oldest little cousin would definitely be a fan. She's extremely crafty. My daughter would love this! She's started making her own bracelets with string lol. I really have no idea but my niece Mariah LOVES these things! She just showed me one today that her friend had made her. This would make an awesome gift for her! My niece is a rubber band fanatic but i am not sure which one she has..maybe the rainbow loom. Awesome !!! My daughter has just recently became crazy obsessed over these, would love to win it for her, thank you for the chance ! My niece is a fanatic, she has the rainbow loom and this book could keep her busy over the holidays. I'd give this to my cousin for Christmas! She has a rainbow loom and loves it. All four of my children are loom fans! They don't have a kit right now, they have been making simple ones using there toes and fingers, lol. I was planning on getting them the rainbow loom for Christmas. My friend's daughter has a rainbow I think. My cousin has a rainbow loom and absolutely loves it! This would be such an awesome Christmas gift! My nieces would love this book. For sure one of them would go for rainbow, and the other would go for multiple shades of purple. No i haven't heard of it. My daughters would love it. My 4 year old is so creative. I've never actually heard of it but it looks super fun and like something my daughter would really enjoy. My niece is a rubber band loom fan, she would love those books.